1. Stop it before it starts. While Bruxism is typically caused by external factors such as stress, allergic reactions, medical ailments, or elevated caffeine intake, it can quickly become a habit and continue even after the original stimulus is gone. 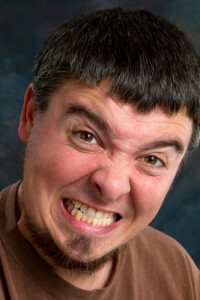 It is estimated that only about five percent of those who suffer with Bruxism are aware of it. Without even knowing, you can cause nightly damage that is increasingly severe, permanent, and expensive. 2. Dental Difficulty. Continuous Bruxism is the leading cause of occlusal trauma. The consequential fracturing, loosening and wear on your teeth and jaw often require bridges, crowns, root canals and even implants as necessary remedies. In the worst cases, TMD, temporomandibular disorders, can occur which painfully complicate the joint movement of the jaw. 3.Not all pain is gain. Bruxism is regularly linked to headaches, neck and shoulder pain, facial tenderness and earaches. While you sleep peacefully, the muscles on and around your jaw are working tirelessly. Your neck and shoulder muscles might share the load when they compensate for your exhausted jaw, leading to general tension and soreness in any and all muscle groups around the head. The good news? The problem can be fixed- by you. Stress management, especially in the hour before you go to sleep, can reduce the occurrence of Bruxism. Even practicing relaxing your jaw muscles throughout the day can help significantly. Some dentists even recommend a mouth guard. However you choose to handle it, awareness is the first step. If your partner tells you you’ve been grinding, you may thank them later. Next Next post: Are dentures inevitable?